Make a donation to CELEBRATE a person or event today! Whether it’s a birthday, anniversary, retirement or wedding, honouring a loved one with a donation in lieu of a gift is a wonderful way to help PRHC’s doctors and nurses get the tools they need to deliver great care at your hospital. Simply complete the e-card form and include a personalized message. Select the e-card that you wish to send and let your loved one know you are thinking about them. A donation to the PRHC Foundation has been made in your honour to help make great care possible at our hospital. Yes! I'd like to receive email communications from the PRHC Foundation. If you donate and have not already registered, you will receive periodic updates and communications from Peterborough Regional Health Centre Foundation. 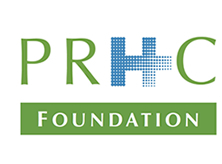 © PRHC Foundation 2019. All Rights Reserved. Government funding covers only a portion of what hospitals require in order to meet today’s best practices in patient care. 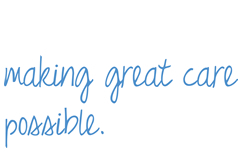 It is only through the generosity of donors that PRHC is able to bridge the gap between adequate and excellent healthcare. Our donors are not only helping to save lives, but giving future patients the chance to laugh, love and live again.